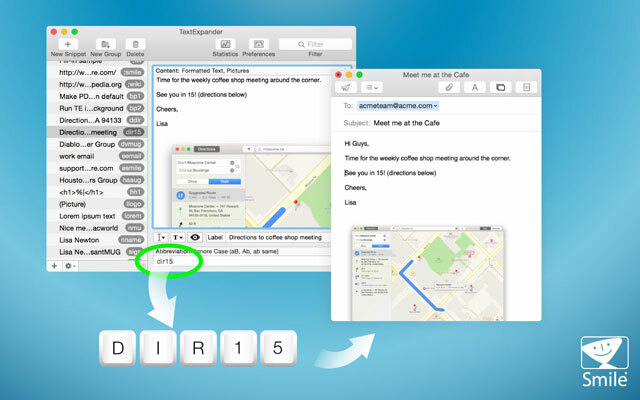 TextExpander saves your fingers and your keyboard, expanding custom keyboard shortcuts into frequently-used text and pictures. Type more with less effort! Insert standard greetings, phrases, boilerplate paragraphs, and signatures – including formatted text and pictures. Add predefined snippet groups, including HTML, CSS, Autocorrect, Accented Words, and Symbols groups. Insert the current date and time in any format you prefer. 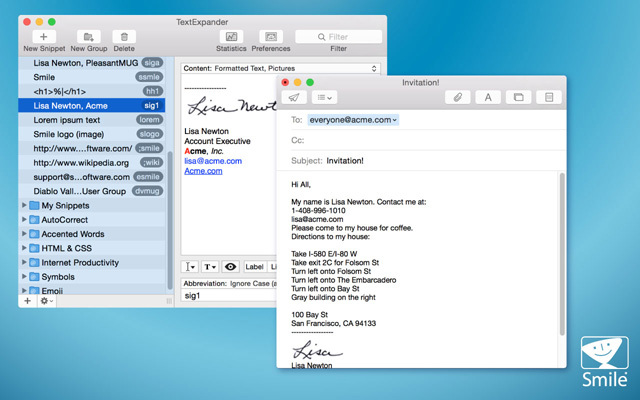 TextExpander is controlled from its own preference pane inside your System Preferences. 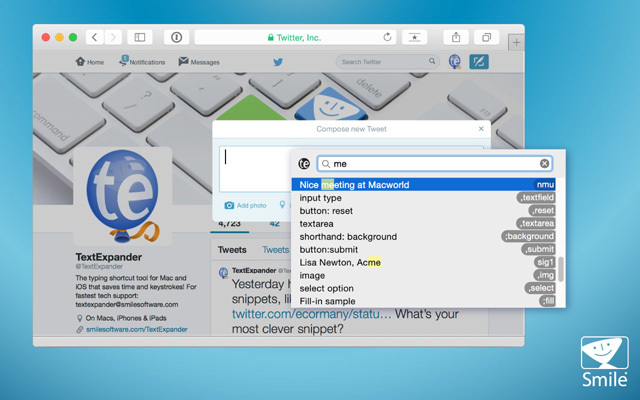 Designed for easy handling, TextExpander blends in perfectly with your operating system.